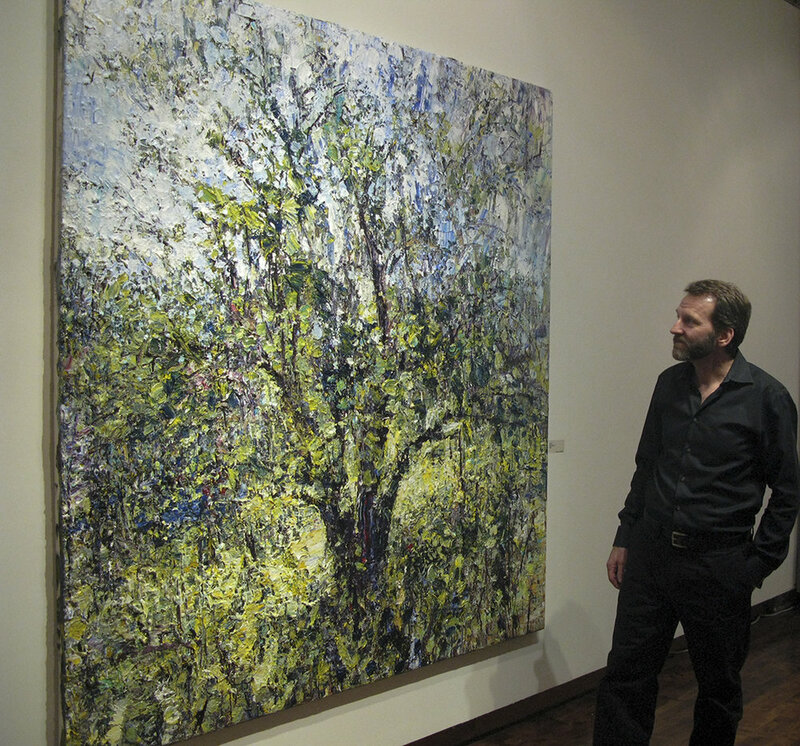 Jim Reid's work is connected to the 19th century landscape painting tradition. At the same time it indicates the profound shift that has taken place in our relationship with nature. For centuries western culture has sought to demystify and control nature, and today no corner of the earth is unaltered by technology. Yet, nature remains beyond our control, infinitely complex and enigmatic, and also inseparable from our own history. 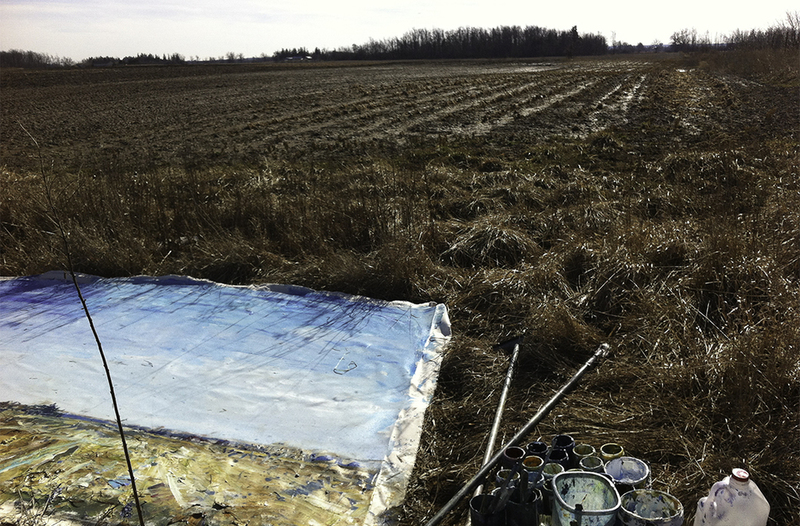 The work process involves transporting the paintings to various painting sites. Jim Reid likes the immediacy of working outdoors on the land, where the elements may become collaborators in the painting process. The Canadian Shield: This iconic landscape is the location of some of the Earth's oldest bedrock. Traces of glaciation and other geologic events are everywhere. Thousands of years of human activity is also interwoven with this ancient topography. Works from the Terraforms series are three-dimensional hybrids. Casts taken directly from the site were combined with manufactured materials, natural fragments and acrylic paint. The Niagara Escarpment is a 725km long ridge of limestone that was once an ancient seabed. Shaped by both geological and human forces, it has often become a battleground over land use: conservation versus industrial. Still, it remains a ribbon of wildness traversing Southern Ontario. Over many months the paint surfaces are built up and gouged. The elements take their toll, and earlier layers are obliterated as the painting transforms. The Peel Plain: Northwest of Toronto, the historic farmlands of the Peel Plain reveal a time-layered working of the land, but these are endangered spaces. The region is being rapidly transformed by urban expansion. 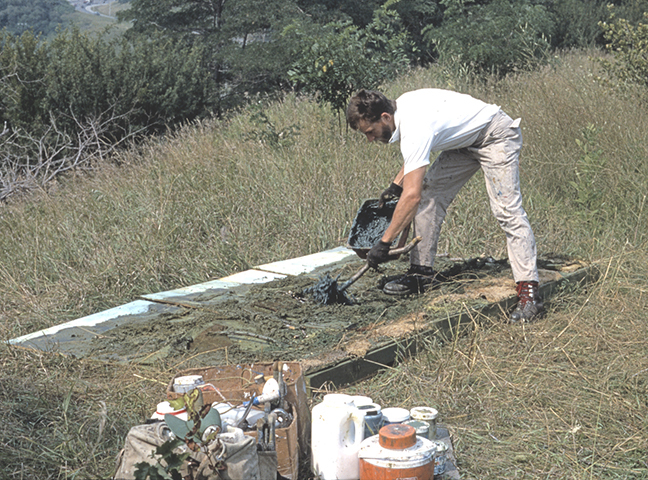 Paint and canvas are transported to the sites. The resulting paintings are a contemplation of timelessness and impermanence. Jim Reid is represented in Toronto by Lonsdale Gallery.